If you’re thinking about breast enhancement surgery, here’s another consideration: Researchers say they still don’t know whether silicone gel breast implants are safe for long-term human health, Reuters reports. The U.S. Food and Drug Administration (FDA) banned the sale of silicone gel implants in 1992 in response to public concern about their safety. But the implants were reintroduced to the market in 2006, and are now used in about three-quarters of all U.S. breast enlargement surgeries. What’s more, no studies have conclusively demonstrated their long-term safety. That’s why researchers at the Brown University School of Public Health recently reviewed more than 5,000 reports on health outcomes for women after they underwent breast implant surgery. Scientists were looking for clear evidence of potential links between the plastic surgery procedure and a multitude of adverse health conditions. 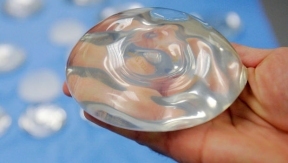 According to researchers, between 1964 and 2003, there was at most only one study that adequately explored potential connections between silicone gel breast implants and risks to women’s health. Still, scientists did unearth suggestions that silicone breast implants were tied to an increased risk of lung cancer, immune system disorders and blood flow problems in women. (Interestingly, several other studies suggested these surgeries were linked to a lowered risk of breast and endometrial cancers among women.) In response to the highly inconclusive findings, researchers took one action: Brown scientists created a national breast implant registry that will cull data from the American Society of Plastic Surgeons and the FDA to track all breast implants for the next five, 10 and 15 years to track their long-term effects on the health of women who underwent these surgeries.